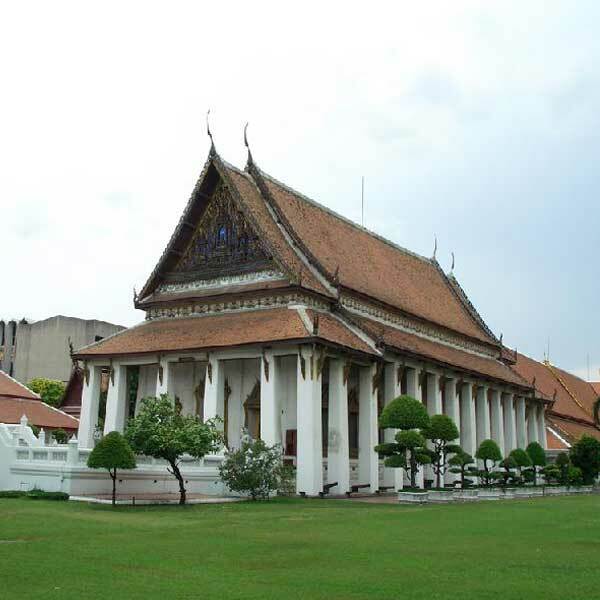 Previously a palace during the reign of Rama 5 , the National Museum features extensive displays of Thai artefacts from the main historical periods, encompassing the Lanna, Ayutthaya and Sukhothai kingdoms up to the present day. Thai culture is well documented in sections on dance, music and drama. The first example of Thai literature and the Thai alphabet, inscribed by King Ramkhamhaeng on a black stone during the Sukhothai period, is also on display. Free English tours are given on Wednesdays ( about Buddhism ) and Thursdays ( on art/culture ) which start at 9:30am. Photography is not allowed inside the museum galleries.